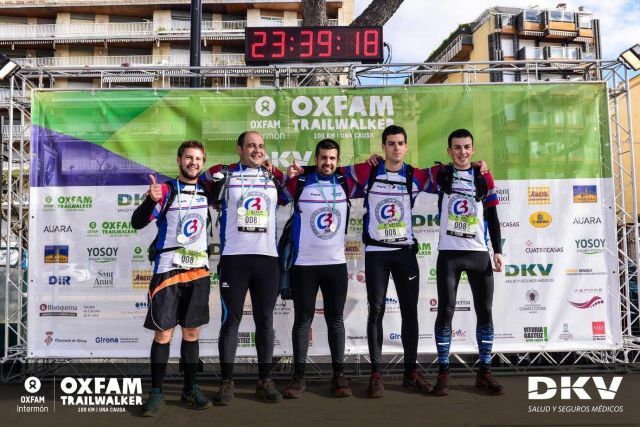 A team from Costa Brava Foods participated on April 1 and 2 in the Oxfam 2017 Trailwalker with slogan "100 km, 4 people, 1 cause", achieving a time of 23h 39m 18s to cover the 100 kilometers of the route, at the same time as in solidarity with the values of effort and teamwork that this challenge represents. The total amount Intermon-Oxfam raised through contributions from the sponsoring companies are € 736,965.51, which will be dedicated to cooperation projects, humanitarian actions and fair trade in more than 90 countries. As every year, a great initiative for a great cause. From Costa Brava Foods we give our congratulations to all participants!